Zabbix is open-source monitoring software for networks and applications. It offers real-time monitoring of thousands of metrics collected from servers, virtual machines, and any other kind of network device. These metrics can help you determine the current health of your IT infrastructure and detect problems with hardware or software components before customers complain. Useful information is stored in a database so you can analyze data over time and improve the quality of provided services, or plan upgrades of your equipment. Zabbix uses a client-server architecture and uses a small agent on the monitored client to gather data and send it to the Zabbix server. 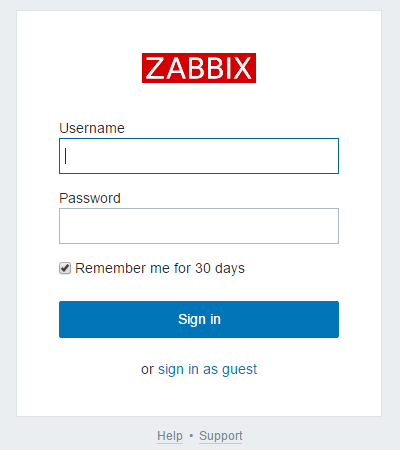 Zabbix version 3 supports encrypted communication between the server and connected clients, so your data is protected while it travels over insecure networks. The Zabbix server stores its data in a relational database powered by MySQL, PostgreSQL, or Oracle. It also provides a web interface so you can view data and configure system settings. In this tutorial, we will configure two machines. One will be configured as the server, and the other as a client which you'll monitor. The server will use a MySQL database to record monitoring data and use Apache to serve the web interface. Two Ubuntu 16.04 servers, each configured with a sudo non-root user. You can set these up by following this initial Ubuntu server setup article. The server that will run the Zabbix server needs Apache, MySQL, and PHP installed. Follow this guide to configure those on one of your servers. Now we can install Zabbix. Let's also install the Zabbix agent, which will let us collect data about the Zabbix server status itself. Next we have to import the initial schema and data. The Zabbix installation provided us with a file that sets this up for us. 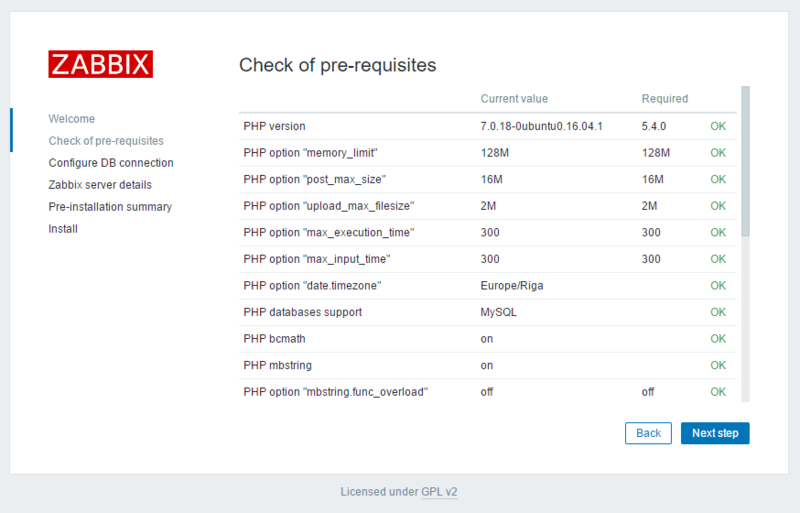 The Zabbix web interface is written in PHP and requires some special PHP server settings. 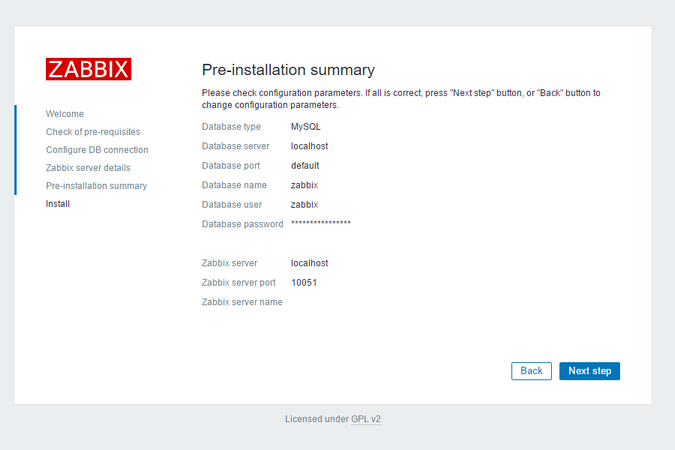 The Zabbix installation process created an Apache configuration file that contains these settings. 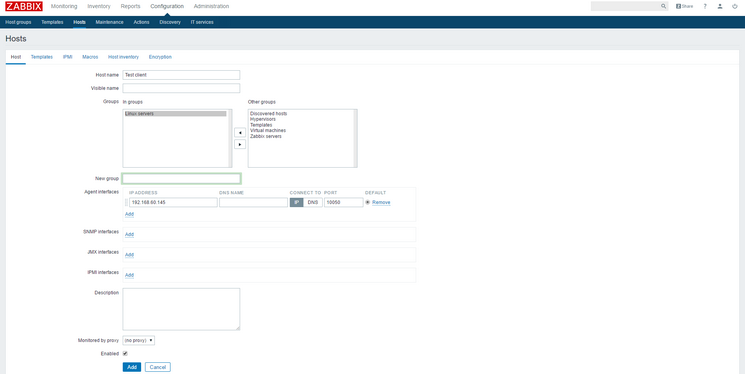 It is located in the directory /etc/zabbix and is loaded automatically by Apache. We need to make a small change to this file, so open it up. We told the Zabbix server about our database, but the Zabbix web interface also needs access to the database to manage hosts and read data. Therefore enter the MySQL credentials you configured in Step 2 and click Next step to proceed. Log in to the second server, which we'll call the “monitored server”. You can learn more about UFW in How To Set Up a Firewall with UFW on Ubuntu 16.04. In this tutorial, you learned how to set up a simple and secure monitoring solution which will help you monitor the state of your servers. It can now warn you of problems, and you have the opportunity to plot some graphs based on the obtained data so you can analyze it and plan accordingly.